Today we are lucky enough to have Jodie with us Guest Blogging - she is such an amazing and inspiring person that we are lucky enough to know personally. Please take a moment to read her post and visit sweet Anna's blog here. Feel free to leave comments in response on our Facebook page. Happy Birthday Anna! Autumn is my favorite time of year. I love the changing temperatures and colors. I love the cool nights and mornings. I love the holidays. But there is one week in autumn that usually finds me uncharacteristically melancholy. This week, in fact. 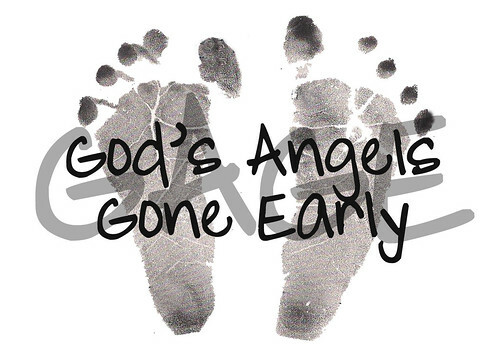 Five years ago today my baby was born, stillborn. At 26 weeks gestation we learned, through an amniocentesis, that our daughter had triploidy, a rare genetic disorder not compatible with life. Instead of having 46 chromosomes like you and I, she had an extra chromosome in each set—a total of 69. Not good. We were told the chances of her being born alive were slim, and if she was, we could only hope for minutes or hours of life at most. As you can imagine, it was devastating news. Dreams of a life with this baby, whom we already loved, had suddenly been ripped from us. The next few weeks were rough. My husband confided in me that whenever he saw other dads with their baby girls, he became heartbroken. I cried a lot. We had to lean on each other so much during that time. For the next 10 weeks we went to a specialist over an hour away for ultrasounds to see if her heart was still beating. At 36 weeks, it no longer was. 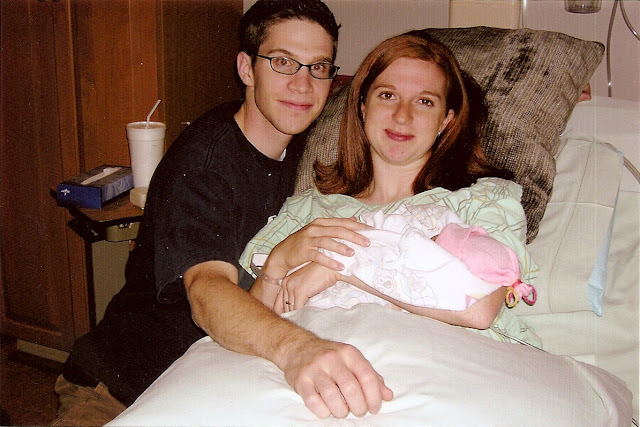 On October 11, 2007 my Anna Lynn was born 1 lb. 10 oz, 11 ½ inches long. So tiny. So fragile. The next few days and weeks were miracles. We were overwhelmed by the outpouring of love we received from friends, family, and even people whom we had never met before. We lived far away from our families so our church family helped with some of those first, hardest days. They babysat our then 17-month-old son, brought us dinners and flowers, and cried with us. Next, we started receiving sympathy cards, gifts, and flowers from family members and friends who lived far away—even from a student in the class my husband was teaching at IU. We then received a large check from friends of my sisters, none of whom at met us before, which they raised on our behalf to purchase Anna’s headstone. My uncle built a beautiful resting box to bury her in. The list goes on and on. We were amazed and humbled by the generosity that was shown to us. Lastly, but most important to us, was the outpouring of love we felt from our Father in Heaven. We felt so much love. He truly buoyed us through the rough seas. He did not deprive us of this child because He was punishing us. He sent her to us for such a short period of time to increase our love toward each other and toward others and to allow us a small glimpse of heaven, which I will never forget. I would never wish this experience on anyone but I can now say, five years later, that I am grateful for it. Each year, on her birthday, we have a small birthday party, of sorts, to lift our spirits and to remind us of what a special baby she was. Today will be no exception. I am grateful for my faith, grateful for my family, grateful to my God and grateful for my sweet Anna. Happy birthday, baby girl.